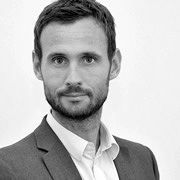 Lars is Chief Strategy Officer & Head of Digital Grey Nordic at Grey Group. He established the first communications planning department in the Nordics at MEC. In the following four years he grow the department to 10 people effectively becoming the largest communications planning entity in the Nordics. In 2009 he was asked to join UncleGrey as Managing Director. In this role he helped the agency win several Cannes Lions, Eurobest gold and other prestigious awards. In 2010 UncleGrey was selected Creative Agency of the Year in Denmark. In 2011 the agency was merged with Grey Copenhagen and he took on the role as Chief Strategic Officer as well as Head of Digital. In that role he has been part of teams that have won international recognition by winning both gold and silver Cannes Lions as well as D&AD Yellow Pencil and European Effie gold and silver. Furthermore the agency was named Digital Agency of the Year in Denmark in 2012, 2014 and 2016. In 2012 he was asked to join the Grey EMEA team as Digital Strategic Director working across the region to establish a more digitally oriented network and helping to emphasize a creative and innovative use of technology as part of every aspect of our business. In 2013 he completed his MBA thesis at the Berlin School of Creative Leadership with a focus on establishing more innovative and dynamic ways to work with creativity. In 2014 the agency won both an IPA gold and an IPA special price for best multi-market campaign, making the work the single piece of work that was most highly evaluated by the IPA. Furthermore the year has two silver Cannes Lions and three Bronze all in digital and mobile categories. In the same year he took on the role as Grey EMEA Strategy Lead.